The figure of the child and the imaginative and emotional capacities associated with children have always been sites of lively contestation for readers and critics of Dickens. 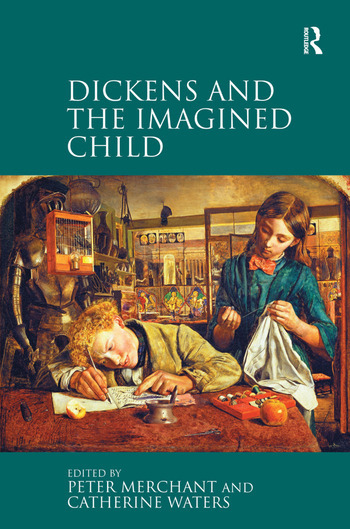 In Dickens and the Imagined Child, leading scholars explore the function of the child and childhood within Dickens’s imagination and reflect on the cultural resonance of his engagement with this topic. Part I of the collection examines the Dickensian child as both characteristic type and particular example, proposing a typology of the Dickensian child that is followed by discussions of specific children in Oliver Twist, Dombey and Son, and Bleak House. Part II focuses on the relationship between childhood and memory, by examining the various ways in which the child’s-eye view was reabsorbed into Dickens’s mature sensibility. The essays in Part III focus upon reading and writing as particularly significant aspects of childhood experience; from Dickens’s childhood reading of tales of adventure, they move to discussion of the child readers in his novels and finally to a consideration of his own early writings alongside those that his children contributed to the Gad’s Hill Gazette. The collection therefore builds a picture of the remembered experiences of childhood being realised anew, both by Dickens and through his inspiring example, in the imaginative creations that they came to inform. While the protagonist of David Copperfield-that 'favourite child' among Dickens’s novels-comes to think of his childhood self as something which he 'left behind upon the road of life', for Dickens himself, leafing continually through his own back pages, there can be no putting away of childish things. Peter Merchant is Principal Lecturer in English at Canterbury Christ Church University, UK, and Catherine Waters is Professor of Victorian Literature and Print Culture at the University of Kent, UK, and an Honorary Affiliate of the University of Sydney, Australia.